FFA - Sector SPDR ETF is a major advertiser with Pearson plc a publisher of Islamist biased text books and promoter of Sharia compliant banks. The email for this article was deactivated after the company stopped advertising at FT.com. publishing textbooks for American students some of which are Islamist biased. The facts and details for the above statements are posted below. Clearly, Pearson plc is in a very strong position to influence the minds of America’s children as well as numbing the attitudes of Corporate America regarding the threat of Islamization in the United States. Public officials for the most part seem unconcerned about this situation. Elected education officials are undeterred regarding Pearson plc biased textbooks and their role in Common Core. The best recourse that concerned citizens can take regarding Pearson plc’s business practices is to encourage other corporations not to advertise with the Pearson owned Financial Times (FT.com) and The Banker (TheBanker.com). This recourse will educate companies about Pearson plc’s troublesome business activities. Over time contacting advertisers will significantly reduce advertising interest in Pearson plc properties. The public needs to urge advertisers not to give their consumer dollars to companies that publish Islamist biased textbooks and promote Sharia ruled companies. 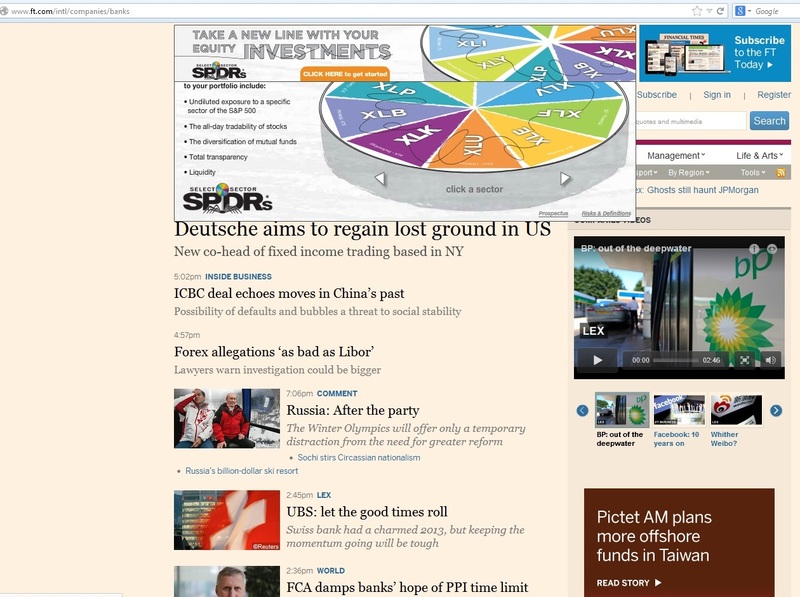 Sector SPDR ETF is a leading advertiser at FT.com (Financial Times). The Sector SPDR ETFs web site states that it is Distributed by ALPS Portfolio Solutions Distributor, Inc. The ALPS Portfolio Solutions Distributor web site states ALPS, is a wholly-owned subsidiary of DST Systems, Inc., headquartered in Denver with offices in Boston, New York, and Seattle. 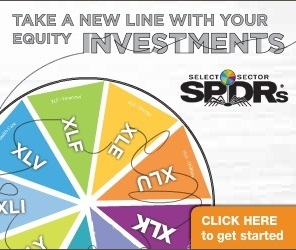 Click here to see the Sector SPDR ETF advertisement at the Financial Times FT.com. Florida Family Association has prepared an email for you to send that encourages Sector SPDR ETFs’ parent companies ALPS Distributors and DST Systems, Inc. to stop advertising with the Financial Times and other Pearson plc businesses. The facts and details for statements posted above. Foreign Company: Pearson plc is headquartered in London. Partially owned by Gaddafi family and unknown others: The Daily Mail (United Kingdom) published an article on October 22, 2011 titled What will happen to Gaddafi's billions? Governments prepare to hand back the toppled tyrant's frozen assets?” The Daily Mail reported “Pearson, the British publishing giant which owns London's Financial Times, announced in March that, under legal advice, it had frozen a 3.27 percent ownership in its shares held by the Libyan Investment Authority. 'We are monitoring the situation closely,' a spokesman for Pearson said on Friday. 'Once the relevant sanctions are lifted, Pearson will take the necessary steps to ensure that the shares and any dividends paid into a blocked account are unfrozen as soon as possible.' A significant amount is still in the hands of surviving members of the deposed tyrant’s family, and could be used to fund insurgents in the newly liberated Libya. Large sums are likely to be in neighbouring countries like Algeria, which are being used as safe havens for Gaddafi’s wife and grown-up children, and grandchildren. It is also thought that members of the Gaddafi family who fled to Algeria were carrying gold bars." The 3.27 percent of outstanding Pearson plc stock owned by the Gaddafi family is the LARGEST REPORTED holdings according to Morning Star and Yahoo Finance Yahoo Finance reports “No Major Direct Holder info Available for PSO.” How many other foreign Islamist investors own stock in Pearson plc? The public may never know. Additionally, based upon this omission of public information it cannot be confirmed if the family still owns the stock. Advertised on Al Jazeera America: The Economist , who is fifty percent owned by the Financial Times Group, was a top advertiser on Al Jazeera America for the two months ending December 6, 2013. Publishing Islamist biased textbooks: Pearson published the following books which Act for America reports are biased toward Islam: My World Geography, Chu-Hardwick-Holtgrieve-Wiggins. Grade level: 7, World History: Early Ages. Grade: 8, The Cultural Landscape. Grade level: AP 9-12 and My World History: ProGuide. Grade level: 8. Pearson owned Prentice Hall’s World History textbook presents a biased, imbalanced view of Islam to high school students. “The book has a 36-page chapter on Islam but no chapters on Christianity or Judaism,” said Florida State Representative Rep. Ritch Workman, in Townhall, about the Prentice World History textbook. “It’s remarkably one-sided." A principal author of Common Core standards. Pearson plc is a principal author of Common Core standards. Ned Burke, CEO of ALPS Holdings, Inc.
Tom Carter, President, ALPS Distributors, Inc. Tags: SPDR ETF, ALPS Distributors, DST Systems, Inc.